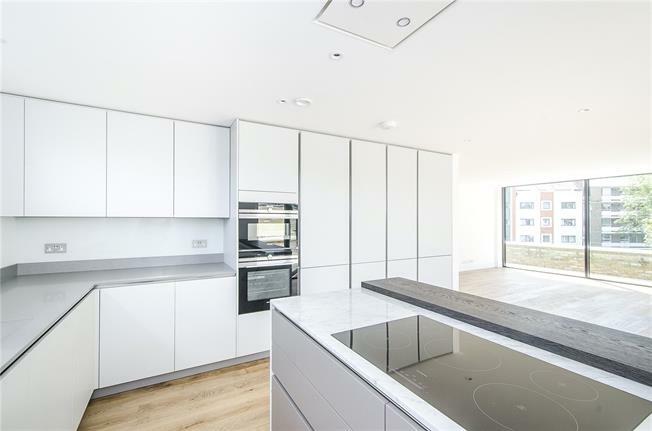 A stunning three bedroom contemporary-designed penthouse apartment on the top floor of this newly-built block in West Putney. The apartment boasts 1248 square feet of accommodation with a spacious triple aspect open-plan kitchen/reception with stylish custom designed Hacker kitchen with island unit and breakfast bar. This includes a range of fully integrated Siemens appliances and with Quartz composite work surfaces and a wine fridge. The kitchen/reception space is flooded with natural light from full height glass windows and there is direct access to the generous private roof terrace which surrounds the penthouse on three sides. The master suite has a dressing area with Lima fitted wardrobes and a stylish en suite shower room with feature glass window. There are two further bedrooms, one with en suite bathroom and then a third family bathroom. 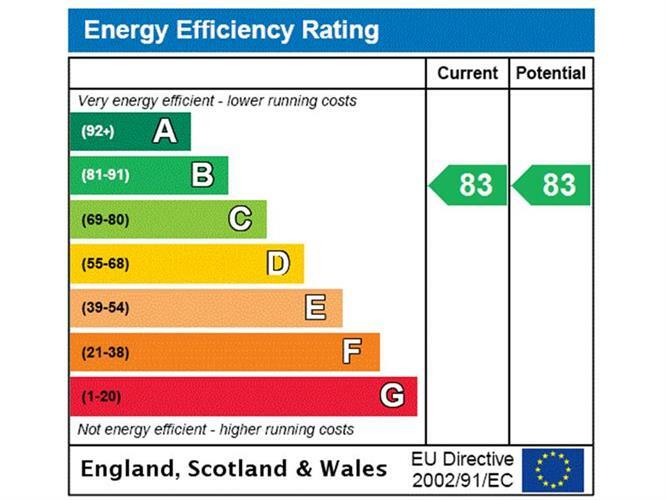 Further benefits are zoned underfloor heating, and a ten year BLP warranty. Peloton Place is situated in a popular West Putney location at the junction with Dyers Lane and Upper Richmond Road. Barnes Station is closeby with its fast links to Central London as is Putney mainline and East Putney tube stations. There are also a number of local bus services serving Hammersmith, Richmond and Putney and there is a nearby parade of local shops and a Sainsbury's Local store is conveniently located on-site. The Lower Richmond Road and Putney Common is a short walk away, across the footbridge.